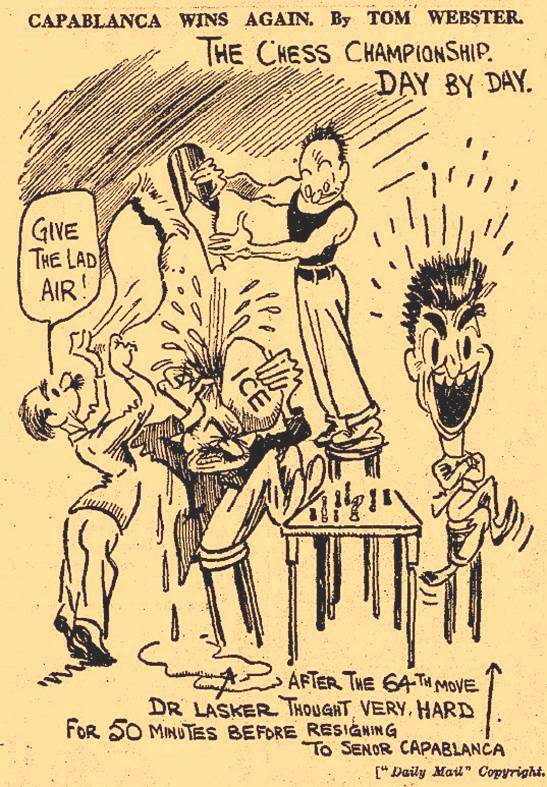 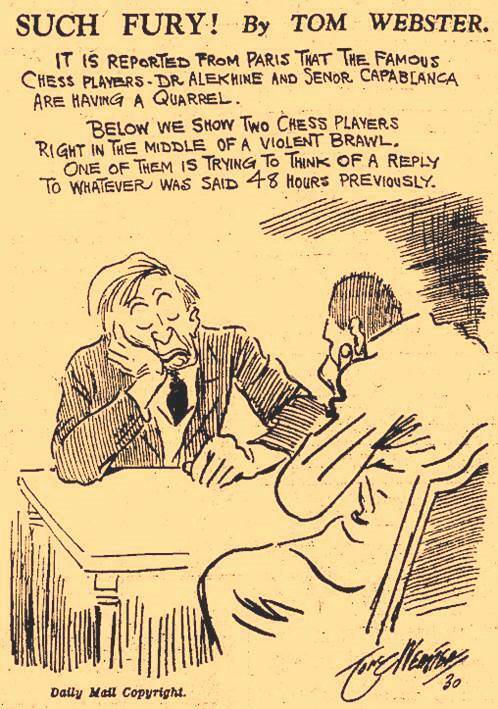 Mr Urcan has found the cartoon, also by Tom Webster and published in the Weekly Dispatch, 1922, in the British Cartoon Archive. 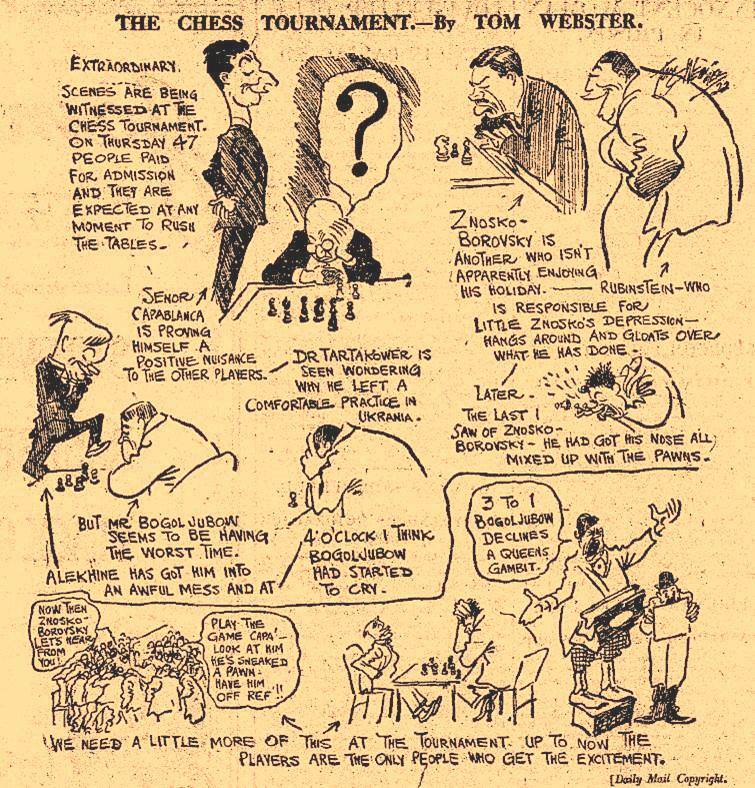 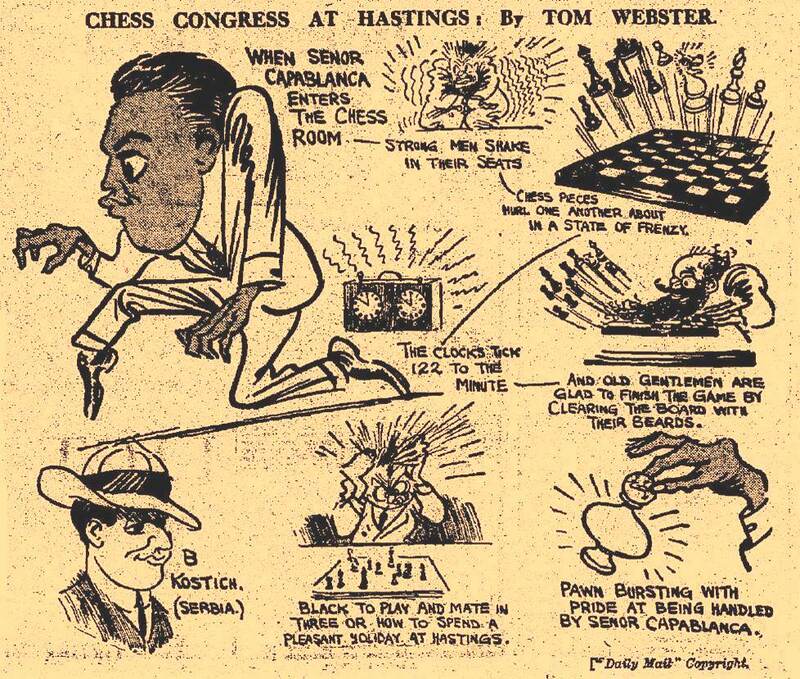 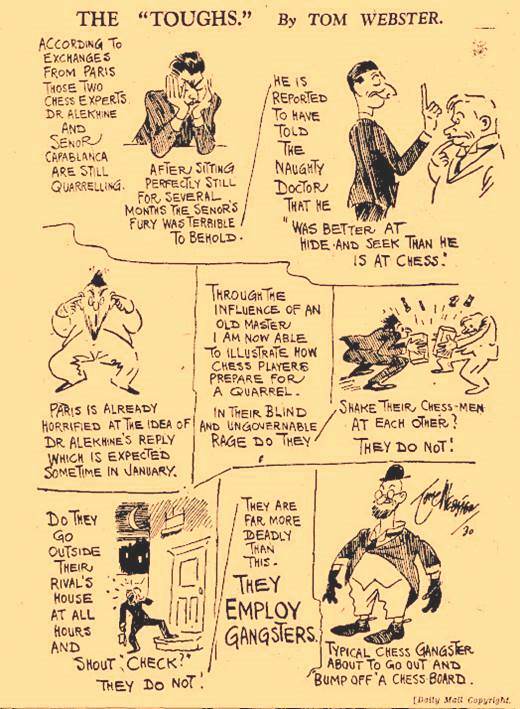 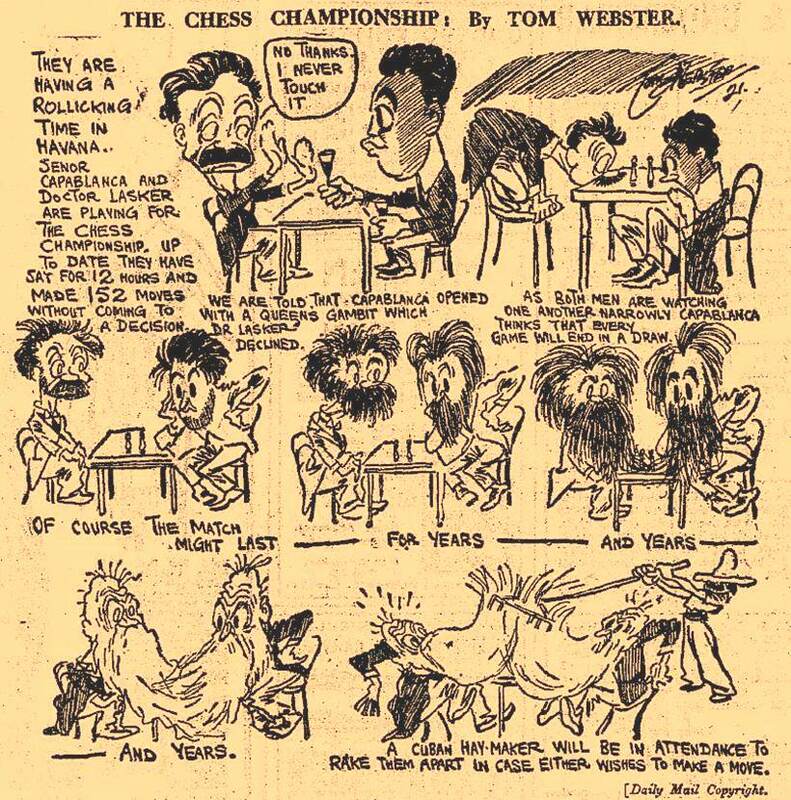 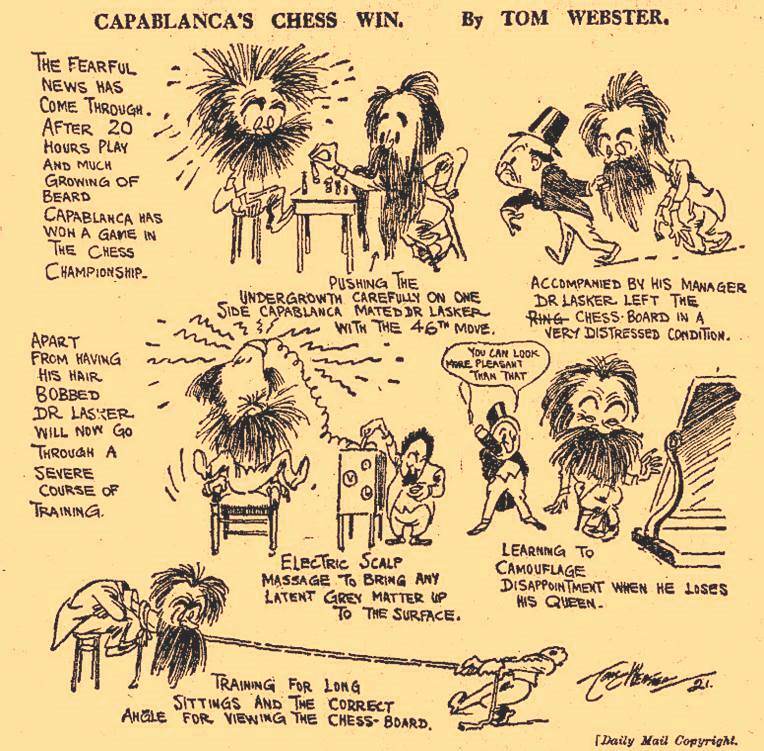 Golombek also wrote about the cartoon in his article ‘World Champions I Have Met’ on page 11 of The Chess Player’s Bedside Book by R. Edwards and R. Keene (London, 1975). 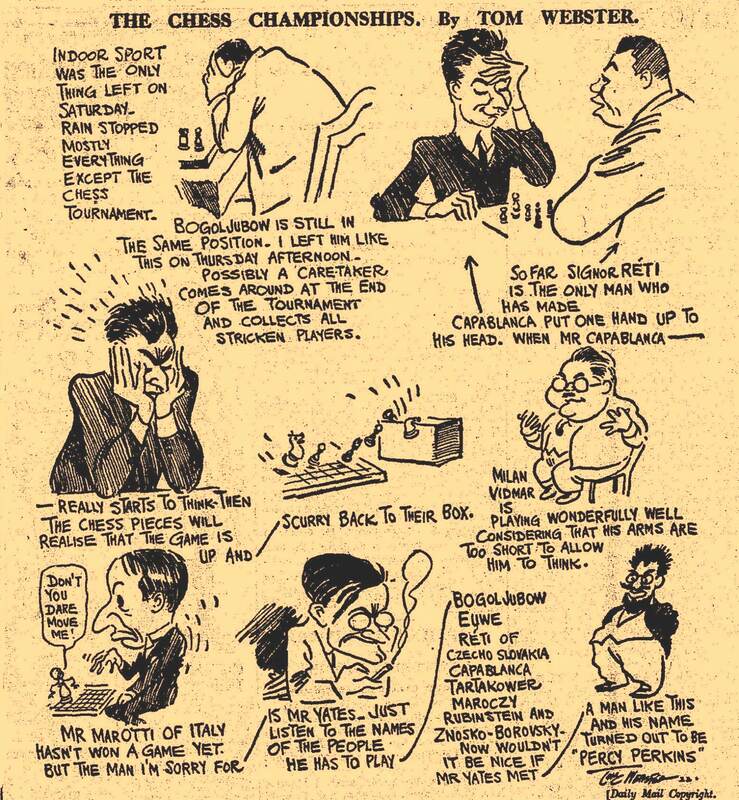 Latest update: 11 March 2014.